The only trolley that stays fitted all the time - in the water and on land. 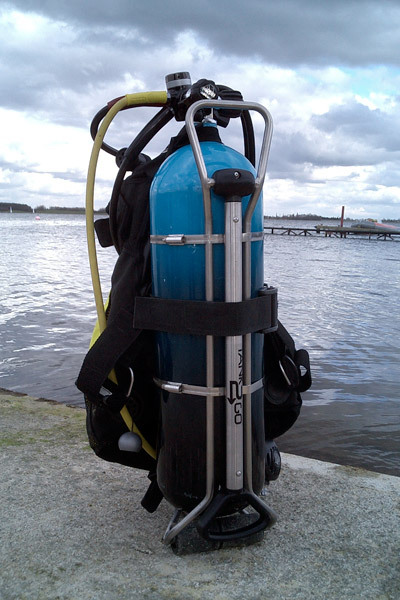 Fits quickly and easily, one size fits all single cylinders. 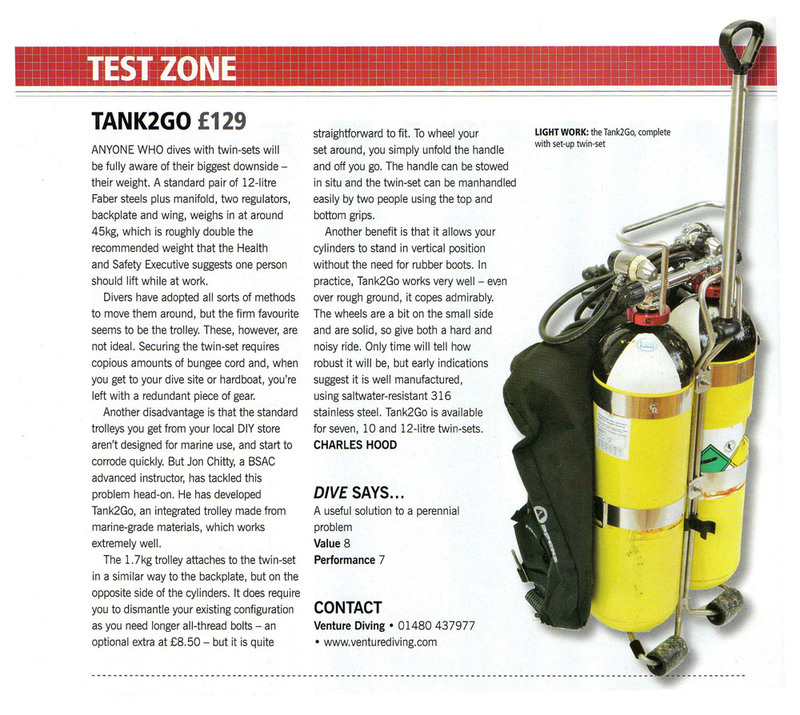 Click here for more details on the Tank2Go Single Scuba Carrier. 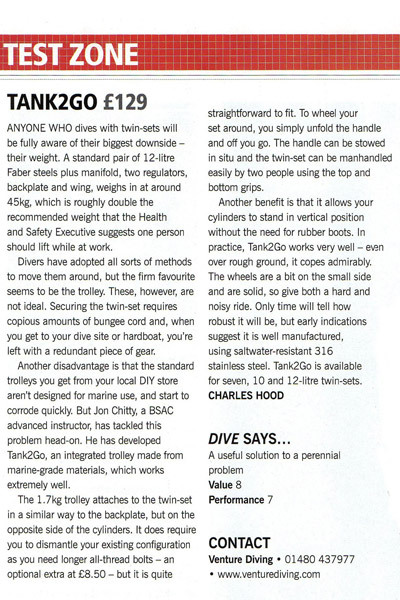 TANK2GO: The only trolley that stays fitted all the time - in the water and on land. 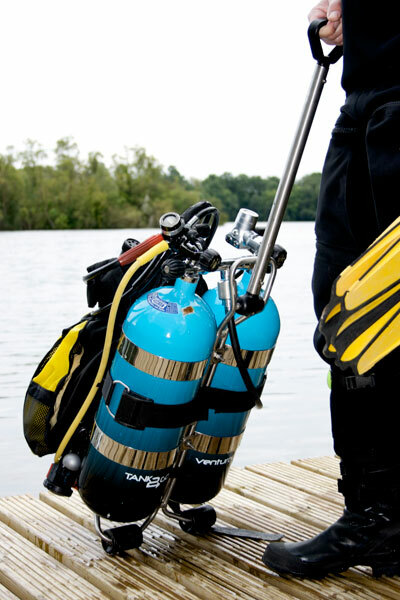 NO HASSLE: Move your twinset or single cylinder more easily, without lifting or carrying.